Ready for a FREE 5-clock hour course? Session content is CE Pre-approved by NCTRC until end of Feb. 2017. Ready for a FREE 5-clock-hour course? 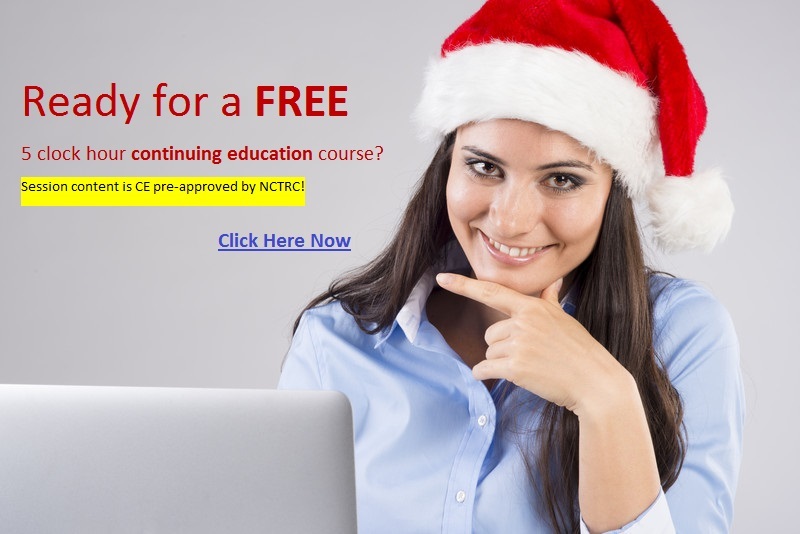 Session content is pre-approved by NCTRC! It is a gift from your friend, Danny Pettry.